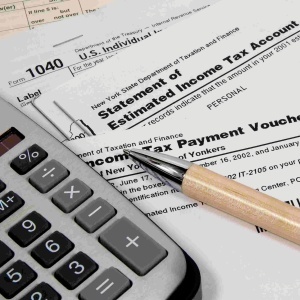 Filing one’s taxes without error means remaining aware of yearly tax changes, and as is the case every year, the federal government has created a number of 2017 tax law changes. These tax changes will impact a filer’s taxes in 2018 when taxes for 2017 are paid on April 15th of 2018. Tax changes this year impact a variety of areas including tax credits, healthcare coverage, medical expense deductions, and threshold adjustments. Each year, the government changes deduction amounts, creates new deductions, and eliminates old deductions. In 2015, Congress created the Protecting Americans from Tax Hikes Act. “PATH” was established to prevent the Internal Revenue Service (IRS) from sending out credits and refunds until the 15th of February when a taxpayer took advantages of the Additional Child Tax Credit or the Earned Income Tax Credit. Anyone counting on an early tax refund after paying taxes right after the New Year would need to plan for an unexpected delay in a refund check. Self-employed taxpayers can set up Medical Savings Accounts (MSAs), which are tax-deferred accounts that taxpayers can use to pay out-of-pocket medical expenses throughout the year. The amount of money taxpayers can put in these accounts is increasing for a variety of accounts. MSAs impacted by this 2017 tax law change include self-only coverage accounts, family coverage accounts, and annual family coverage accounts. The increases range from $50 to $100 per account. One tax advantage offered to seniors with medical expenses has been a deduction for medical expenses on the itemized portion of the tax return. A tax law change for 2017 means seniors will no longer have the opportunity to claim these medical expense deductions unless they come to an amount greater than 10% of the taxpayer’s adjusted gross income (AGI). The tax code used to feature an exception that allowed seniors to take this deduction at 7.5% of their income, but that exception expired as of the 2016 tax year. The government makes slight changes to the standard deduction allowed for each taxpayer, and those changes are usually based on rates of inflation. The changes for 2017 aren’t large because of a low inflation rate. Single filers will see a $50 increase in their standard deduction amount and married couples filing jointly will see a $100 increase in their standard deduction. These deduction amounts tend to change almost every year and are helpful because they reduce a taxpayer’s total tax burden. It’s important to note that the 2017 tax law updates and modifications won’t impact the tax forms taxpayers submit on April 15, 2017. These changes won’t require entry on a tax form until 2018 when taxpayers will file their taxes for 2017. Speaking with a tax professional can help a taxpayer with a complex tax form abide by all new rules. Additionally, it’s a good idea to be aware of the 2017 tax law changes during the year in which they will tax effect to avoid any unfortunate surprises in taxes owed.